DIY Dinosaur Birthday Decor Under $50 – petite noir. First, let me start by saying the budget was a challenge. I was given a food budget of $50 to feed the entire invited number of 86 people, of which about 45 came. Still, $50 for 45 mostly adult people is not a huge number to work with. But that’s for another post. Our decor budget was really low and although a number was never given, we gave it our best to stay as low as possible. A major tip when planning parties is to shop your house first. You need a banner? See if you have some unused construction paper or cardstock lying around from another project. Need party plates? Check your stockpile that you have filled with FREE paper plates instead of spending $1 per pack of eight for a certain color – nobody really cares what color your plates are. Craft: We cut the kraft cardstock into 5x7s (you’ll need enough of those for letter and print parts of all the banners) and then 6 6x8s for the dinosaurs on the ends of each banner. We then used a stencil (I already had these – you can purchase or make your own) to write out “Parker’s one!”, “gifts” and “candy brawr!”. Using these templates (t rex, stegosaurus, diplodocus, footprint) we traced, cut and glued down the accent pieces – remember to use your 6x8s horizontal for the dinosaur ends! Finally, we punched holes in all the pieces and threaded the twine through. Easy peasy! Budget: Here is where our budget doubled overnight and if you don’t do what we did, it won’t happen to you! We bought three packs of balloons for $1 each at Dollar Tree (that was the first mistake – they just don’t hold the helium well) and got them filled at our local Food Lion for $0.80 each. We decided on six bunches of three and one extra of each color should we have some deflating issues. We filled the balloons at about 8pm the night before the party and by the time I got up at 5:30 the next morning half the balloons were down and by 10am the rest had deflated as well. IF YOU USE CHEAP BALLOONS DO NOT MAKE THESE IN ADVANCE! We ended up having enough leftover balloons to not have to buy more, but still had to pay $0.80 a balloon AGAIN and they still hardly lasted over 5 hours. Total out of pocket for our party: $41.40 ($3 balloons, $16.80 for helium the first time and then $21.60 the second time because the employees at Food Lion did not listen to “fill up six of each color and ended up filling all the balloons we gave them”) If you do not have our problems your total out of pocket would be about: $21.80. Craft: Using the leftover construction paper from the dinosaur banners, we cut out dinosaur body parts using the following templates: t rex, stegosaurus, diplodocus. Before you begin you’ll want to cut any string they may have tied to your balloon because you won’t be having them float the “correct” way. Position your balloon in a way that resembles whatever dinosaur body your trying to create. 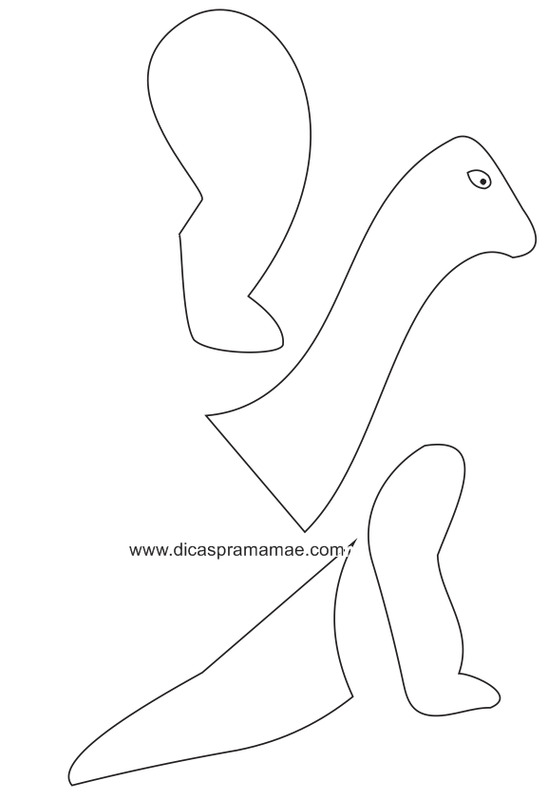 For a stegosaurus, it will be totally horizontal, where for the rex and diplodocus it will be more diagonal. 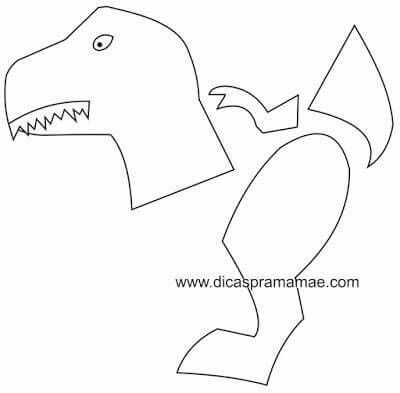 Tape your dino parts on your balloon and then tape the string underneath the dinosaurs’ body so he’ll be right side up. For a visual on what I mean by body positioning, check out this post. Budget: These dinosaurs are only $1 at Walmart and if you don’t want them as toys after the fact, give them away or sell them at a yard sale and make some of your money back! We ended up having six tables, with three on each making that 18 dinosaurs. We also picked up a pack of mini pom poms at Hobby Lobby for $1.99. Total out of pocket for our party: $19.99. Craft: Using more of the leftover construction paper, my sister cut out mini party hats using this template. She hot glued the edges, added a pom pom to each hat and then hot glued them to the dinosaurs’ heads. Really simple and really cute. If you all are interested in hearing more about how we fed 45 people for under $50 (not including cake), please let me know! To see my outfit, read this post. And remember, I’m running a giveaway through September 28th, so be sure to check out this post as well! Good luck! Next Post Fall Giveaway Winner!